Sundays are all about recuperating from the night before, or having a massive roast dinner, or both. 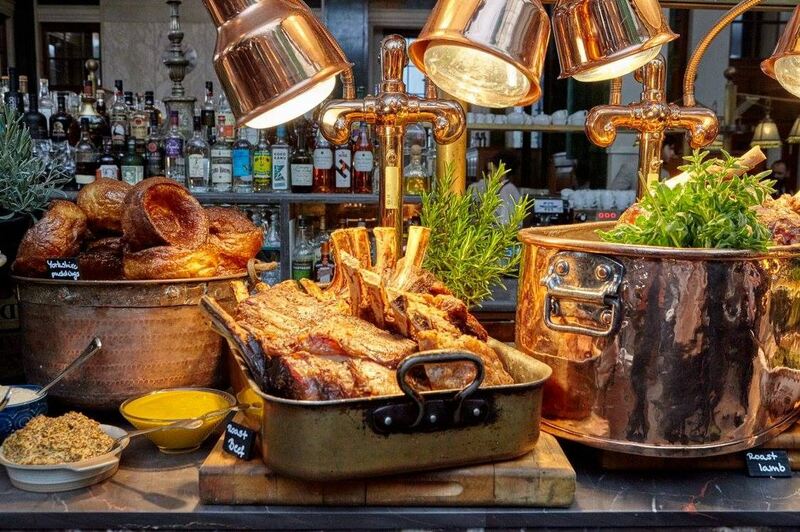 So when we heard that Millie’s Lounge at The Ned offers a Sunday Feast, we were all ears. 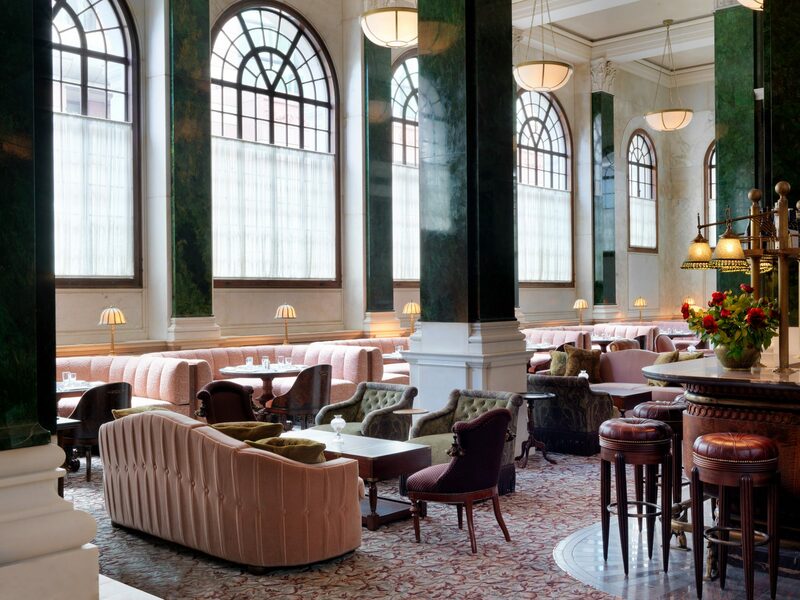 The Ned opened in May this year, and the hype and excitement surrounding this Soho House refurb was immense. 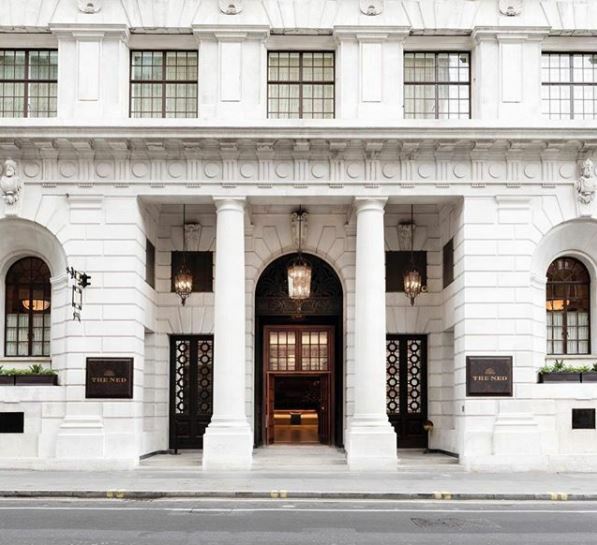 Not only is it a members club, it’s also a hotel, includes a gym, spa, barbers, six meeting rooms and nine restaurants. Sir Edwin “Ned” Landseer Lutyens designed the building in the 1920s as the Midland Bank HQ (look out for the humungous vault on the ground floor). Midland Bank was taken over by HSBC who moved to Canary Wharf, so this stunning building was left abandoned for nearly eight years. Then in 2012 Nick Jones, the founder of Soho House, transformed The Ned into the place to be. Out of the nine restaurants in The Ned, seven of them are open to the public and can be found on the ground floor in the incredibly grand bustling banking hall. The banking hall has been refurbished with all its original art deco features and with a live band playing next to diners; you almost feel you’re back in the roaring twenties. Millie’s Lounge can be identified by the pink velvet chairs that diners can recline in whilst enjoying British classics, whether it’s afternoon tea, breakfast or the legendary Sunday Feast. When they say feast, they mean it. The food is bottomless (for two hours) and you can help yourself time and time again to oysters, lobsters, smoked salmon, roast dinner (with all the trimmings, including giant Yorkshire puddings), salads and cooked breakfast. 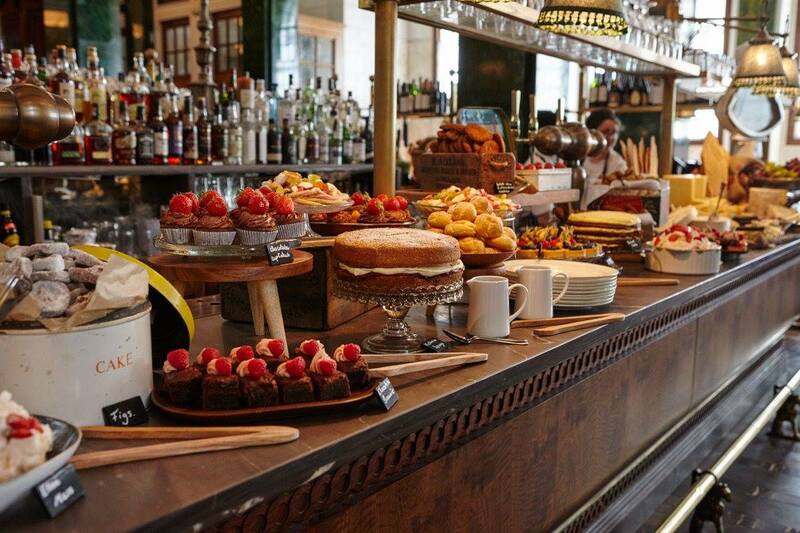 And if you still have room there’s a whole different bar serving cheese, fruit and cakes. Arrive hungry, because you certainly won’t leave feeling peckish. Have you been to The Ned? Let us know on Twitter. If you like this article, you’ll love our newsletter, sign up here.